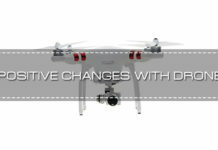 In recent times, there has a been a lot of interest regarding drones and people have found it to be quite interesting. 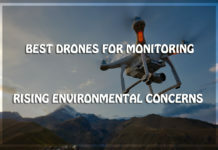 These Unmanned Aerial Vehicles (UAV), as they are popularly known, have become quite abundantly available due to much interest from the people. 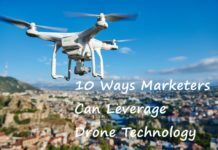 Many different types and designs of drones are present and that can some good reason to invest in them. 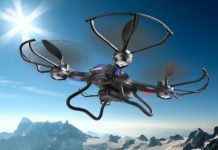 Drones can be used for a variety of purposes. 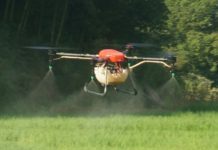 They can be useful in agriculture, surveillance, sports events and many other types of activities due to which their utility is highly regarded by people across professions and industries. There are also individuals who only like to fly drones as a pastime and hobby. There are many parameters of flying a drone properly and mastering all of them can be quite interesting. It is this ‘interest’ that can drive a person towards the UAV and a few sessions may be enough to perfectly get hooked to it. It is also very important to ensure that a drone is flown at a place where it is perfectly legal to do so. There can be regulations worldwide regarding drone’s flight and it is paramount to abide by them so that there is no flouting of norms. In certain big cities, there can be particular ‘no-fly’ zones, so that normal activity of a place is not hindered. Also, there can be certain places like military bases, airports, hospitals, etc. 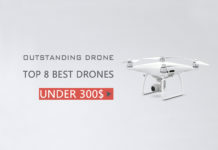 near to which drone flights may be prohibited due to security concern or the certain other issues. 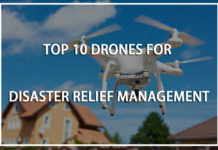 However, the best places to fly drones that have been mentioned here have been checked upon and found to be satisfying with the requirements. There is also a smartphone app called AirMap that can be quite helpful for any drone pilot. It lists out airspaces across the world with the exact laws that are in place at each location. Therefore, a drone pilot can easily understand the worldwide legal and other requirements that may be adhered to for flying a drone. Since we are sure of the requirements at the mentioned places, we list them out one by one. If you are thinking where to fly this summer, Haiku Stairs, Hawaii can be the perfect place to go for getting an exquisite drone experience. This mountainous hiking trail can be very well suited for a drone trip. 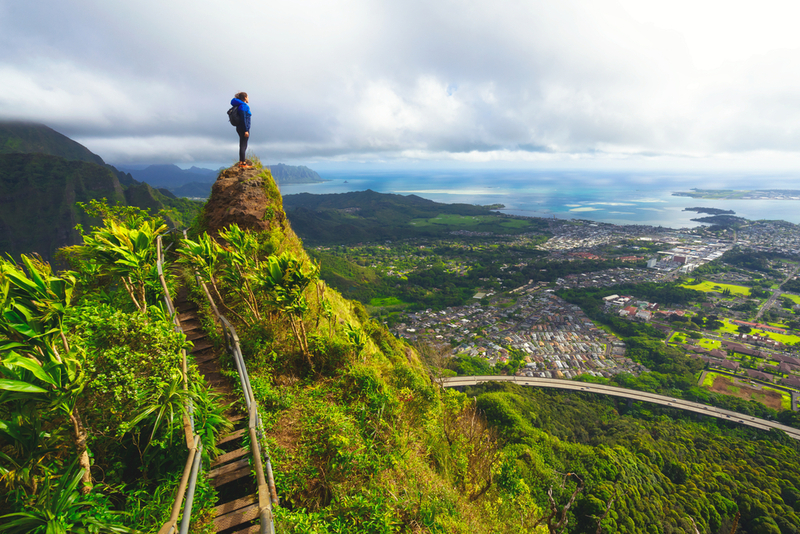 The place is popularly called Stairway to Heaven and is situated on the island of Oahu. It has nearly 4000 steps built up on a local mountain for hiking and all this construction took place way back in 1942! Anyway, the hiking trail has been closed since 1987 and that is why a drone can be the best way to reach the top and enable us to view the place in all its glory. 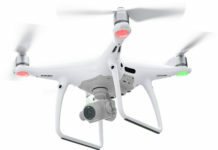 Before venturing out for the place, some care should be taken to ensure that a drone pilot knows all about the area because there is a Marine Corps base very near to the trail and drones may be prohibited within the restricted airspace. However, all other places are ok and a person can expect to get a scintillating view of the trail. the scenery of the place can be breathtaking due to the steep trails running up all through the mountain. The lush green mountains apart from the mesmerising cloud can be a stunner for any drone pilot. Moreover, an eagle’s view can be expected of the pristine blue ocean overlooking the city. All of this can be tremendously attractive for anyone due to which a lot of drone pilots like to visit this place. 1) Different types of landscapes can be filmed. 2) The natural scenery of the place can be outstanding. 3) Steep hiking trails can be seen along with the beautiful weather in the background. 1) A person may not be able to do the hiking personally as the hike trail is closed. 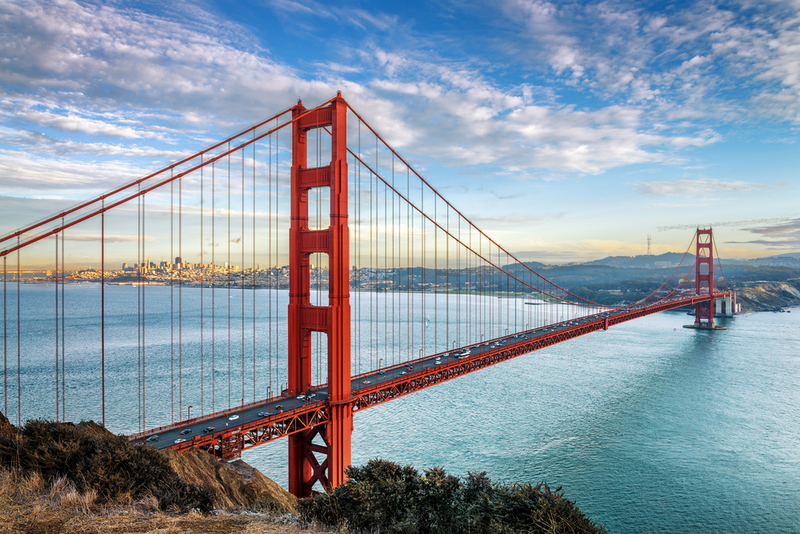 For people who wonder where to fly this summer, San Francisco, California can be the answer. It can be one of the best places to fly drones. 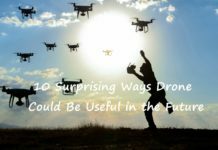 Many people, amateurs as well as professionals, can be expected to enjoy flying drones because there is a culture developing here for these UAVs. It offers some of the best aerial photography options that one can expect and therefore flying a drone here, can be amazing. Situated right in the heart of Silicon Valley, the city can be a great place for any budding drone enthusiast. A lot of organizations and start-up ventures in drone technology can also be found here. Hence, in this part of the US, one can find a lot of awareness among the people regarding drones. Additionally, shooting with the help of a drone in the city can be breathtaking as there are a lot of avenues and scenes that one can find. There are a lot of seaports and many different types of architecture all through the city and filming them can be amazing. One may not be able to fly a drone very close to The Alcatraz or the Golden Gate Bridge due to security issues as both of them are National Parks. But apart from this, there are also many other places throughout the city that can offer tremendous flying and photography options. In fact, a large number of enthusiasts regularly visit the city only due to the love of drones and the options that the place promises to them. 1) There can be many types of flying options available. 2) Many types of natural and man-made structures can be explored. 3) A drone can be flown at almost any place without any worry. 4) Many types of help and expert guidance can be availed. 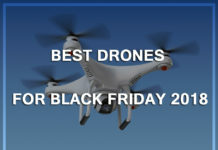 1) A drone cannot be flown near to some of the most popular structures due to security concerns. 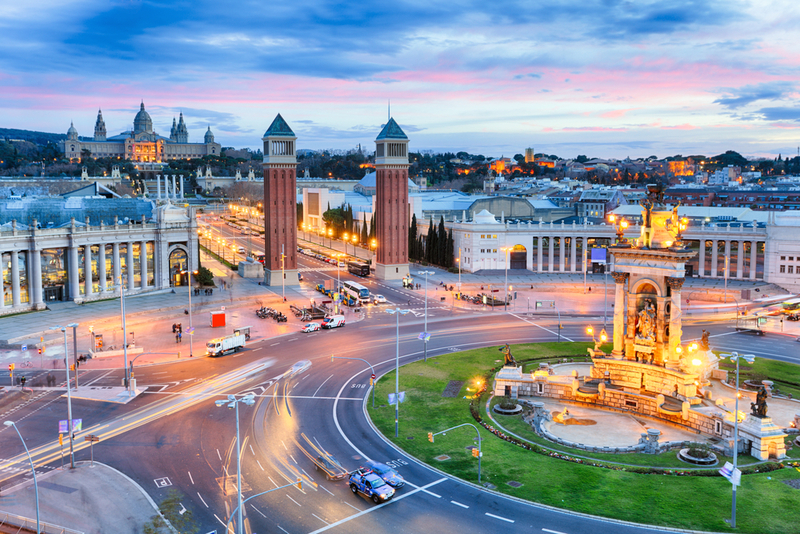 If you are thinking where to fly this summer, Barcelona, Spain can be one of the most revered location. The city has some old as well as new architectural marvels that can be worthy of being filmed. Moreover, the summer climate of this city can be quite pleasant for anyone so that one can stay outdoors easily for long. Therefore, working alongside a drone may not be much tiring. It is undoubtedly amongst the most beautiful cities of the world due to its planned constructions and spacious designs. This bustling city with all the old castles and beaches can be a superb place for any drone pilot. There can be many different types of location for flying a drone within the city. A person can easily choose amongst the many different options that may be available here for flying. However, it is also important to mention here the fact that there can be quite a few ‘no-fly’ zones within this city that should be correctly marked by using the AirMap app. Under any condition, a person should not violate these laws related to ‘no-fly’ zones as they may lead to legal complications. Apart from it, all other places can be drone friendly and if sufficient care is taken, an outing with a drone in Barcelona can be a memorable affair. 1) There are a lot of suitable places for drones. 2) The weather of the city can be quite welcoming. 3) Many types of options from beaches to historical monuments are available. 4) Any drone repair or service can be done easily. 1) A few places in the city cannot be visited for flying a drone. 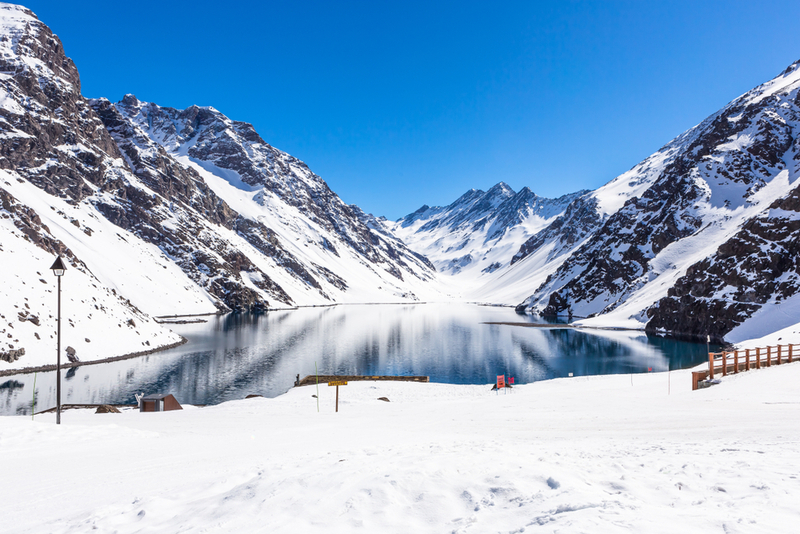 If anyone may be thinking ‘where to fly this summer?’ Valle Nevado can offer a perfect place for the drone buffs. The natural surroundings of the place can be an ideal location for filming some great photography. From an altitude, the pictures of this place taken by a drone can be mesmerizing. 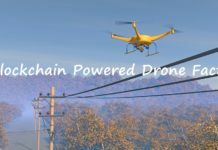 It already has become very famous in many drone communities worldwide due to its drone picture possibilities. The Andes mountain chain can be gloriously depicted by using drones, sunrise and sunset can be filmed in all its beauty and the changing hues and contrasts of the sky is to be seen for believing what nature offers us. This ski resort of Chile is located on a decent elevation due to which the photography can be easily done without much effort. Moreover, there can be many places of interest that can offer admirably astonishing pictures. A person is only required to be out with his UAV and at many places, gorgeous pictures can be created. Nature can be seen in all its glory with the changing colors of the sky and the snow-capped Andes, that can make for a great viewing. Apart from skiing at this place, drones can be a great way for a person to have company. Some of the snow-capped pictures through it can be absolutely breathtaking. 1) Natural setting can be filmed without putting much effort. 2) The Andes and its surroundings can be explored through it. 3) There may not be any type of hindrance or obstruction for a drone. 1) There may not be much options available apart from natural settings. 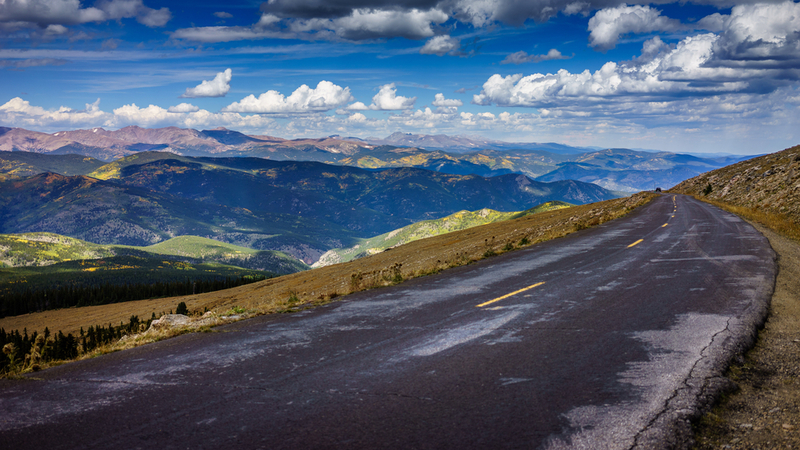 Some of the best places to fly drones include the Mount Evans, Colorado, US. As a matter of fact, Colorado is quite a beautiful state and hence, it can offer numerous places for drone flights for anyone to be satisfied. But then, there can be a catch in all of it. There are a lot of National Parks in Colorado and that means there can be many ‘no-fly’ zones too and that can act as a dampener. However, Mount Evans in Colorado can be the perfect place for drone pilots because there is no restriction at this place. It is located some 60 miles away from Denver. The mountainous terrain of this place together with the scenic beauty all around can be quite alluring. A large area can be visited by a drone pilot and many types of surroundings can be filmed with ease. There is Echo Lake nearby and shots from the top covering both the mountain and the lake can be highly stunning. There is also a road that leads all the way till the base of the mountain. 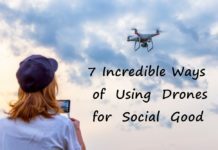 Anyone can travel using it and prepare for the filming by a drone. However, all of this may only be done during the summer months as during the winter season, the road may remain closed. Anyway, there can be a lot of places available and flying a drone can be very satisfying in this area. Rich contrasting topology and terrain can easily be expected along with magnificent colors that can be spellbinding. 1) Mount Evans can offer many different types of options. 2) Filming the Echo Lake and its greenery laden shores can be quite satisfying. 3) The contrasting colors can make for a perfect viewing. 4) There can be many suitable locations around the place for filming. 1) One may need to be an expert for operating here. 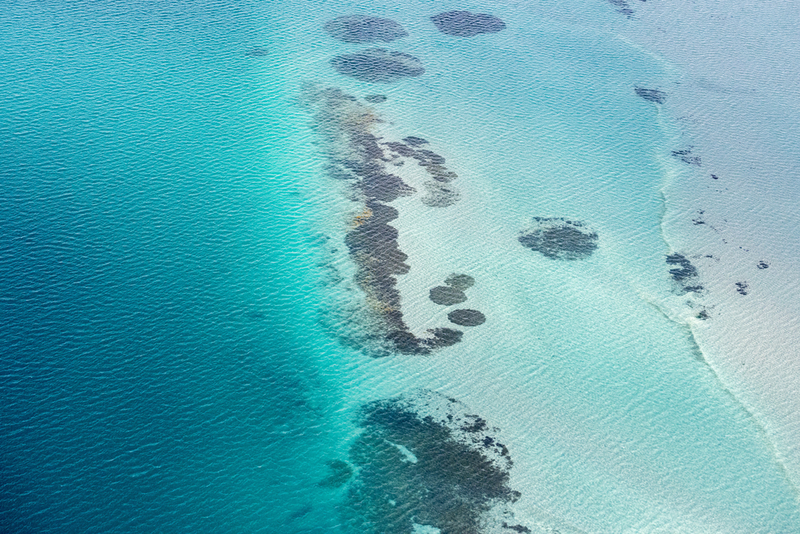 For everyone who may be thinking of ‘where to fly this summer?’ Shark Bay, Australia, can be a chosen destination. People who have visited the place can be expected to be in awe for it. It promises one of the most astonishing views that can be expected worldwide and therefore drone pilots can be the best for capturing them. Best photography can be expected at the place due to the clear and pristine ocean waters. Beautiful marine life can be easily seen here in all its glory. Sharks can easily be filmed here in their natural surroundings. Many different species of sharks can also be filmed here. March and July are generally the months during which this animal can be expected to be sighted easily and therefore, people can get some amazing viewings during these months. 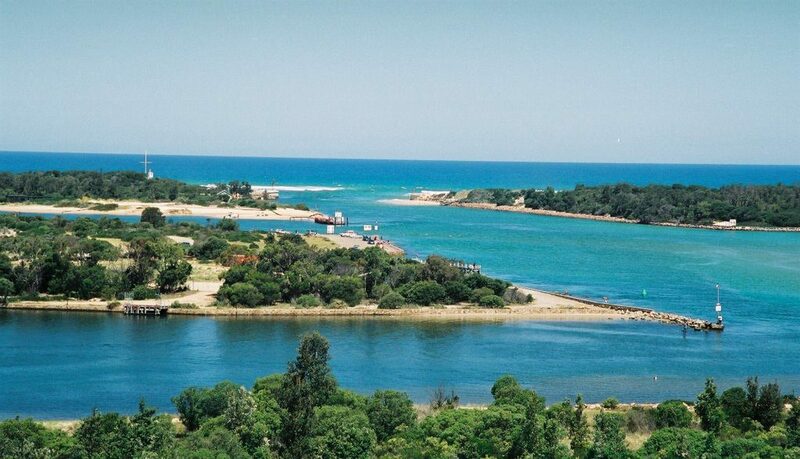 Moreover, beautiful beaches are there in its vicinity together with many heart-stirring views. All of these can help make a perfect picture of the place. A drone aficionado may get many types of fulfilling pictures by visiting this area. 1) Beautiful marine pictures can be expected here. 2) Many species of shark can be discovered. 3) Photos and pictures can be helpful for studying the marine biodiversity of the place. 1) Apart from ocean and beaches, there may not be much to offer. 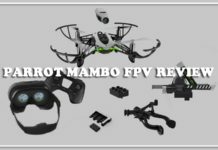 It can undoubtedly find its place amongst the best places to fly drones in this world as the place can offer a lot for a drone pilot. However, reaching the place may not be that easy. Anyway, if there is ‘that’ passion within an individual, one can definitely make it to this place! Enthusiasts can travel to Whittier or Valdez where humpback whales can be easily seen feeding. There is a small airport located in Valdez and people can take direct flights for it. One can also see seals feeding on fish at Prince William Sound during the summer months. This place is exactly located at a few hours drive from Anchorage, which is the biggest city of Alaska. Since whales remain underwater most of the time, they can be great for filming when they come to the surface for breathing. 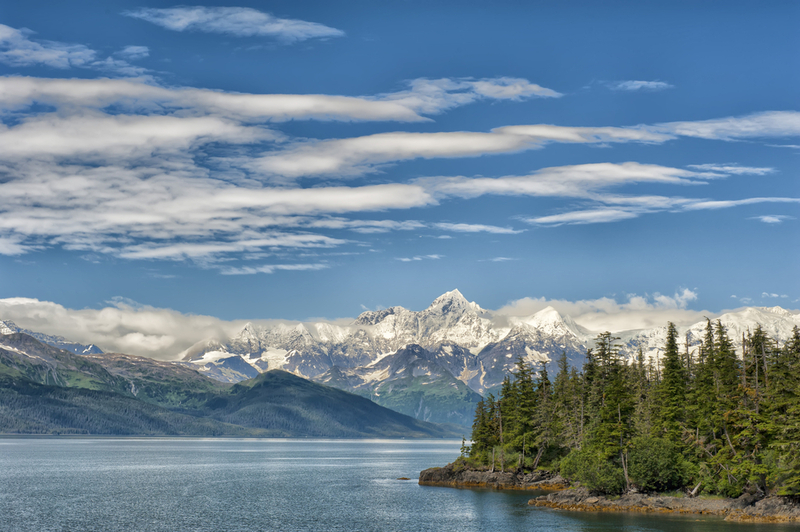 Alaska is also known for its beauty and this place can offer a tremendous insight of the same. However, visiting the place may not be very easy during the winter season. Also, whale sightings may not be expected at those times. 1) Humpback whales and seals can be filmed easily over here. 2) Aquatic life can be discovered through the prism of the ocean. 3) The ocean is placid and with minimum disturbance and less human interference. 1) It may not be very easy to reach here. Drone pilots may often think ‘where to fly this summer?’ Rigby island, Australia can be one of the best places for flying a drone. The place offers exquisite settings for a drone to operate so that pictures from it can be quite gorgeous. Rigby island has some of the most beautiful beaches and marine life that can be exclusively filmed using a drone. The colorful beaches of Rigby island can be a viewer’s delight as there can be many interesting things in a picture and that can be quite satisfying for a viewer. Sandy beaches, corals, boats and even the underwater flora can also be captured using a drone camera and that can be quite revealing of the area’s beauty quotient. 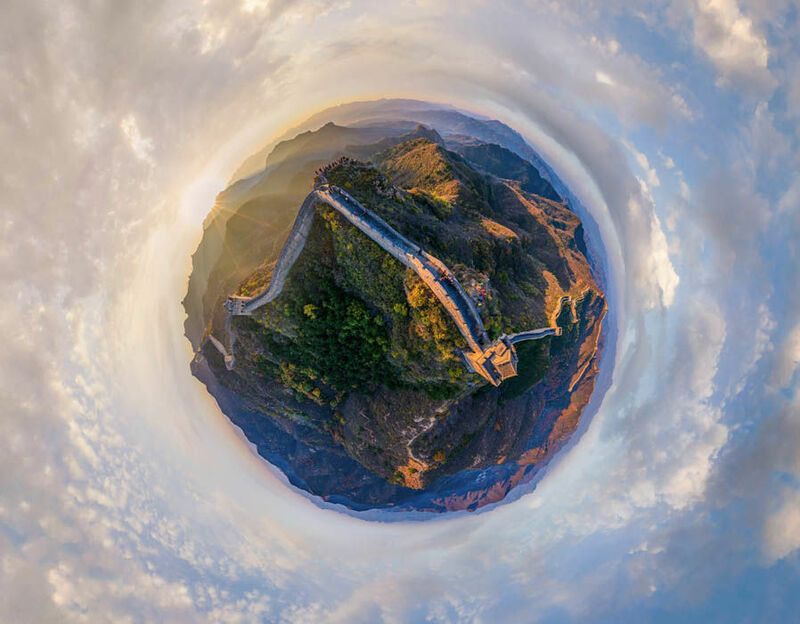 This is the reason why many drone freaks rush to this place to get pictures that can be quite mind-blowing. Recently, this place has seen quite a large number of footfalls, mainly from drone experts and amateurs who have been able to take some really stunning photographs of the place. As interest continues to grow, the place is only seeing the number of people multiply! 1) The beaches and marine diversity can be sufficiently discovered. 2) Underwater pictures may also be captured due to the presence of clear water. 3) Not much has been known of the place till date and hence, there can be many virgin territories here. 1) With little information of the place, discovering newer areas may not be easy. Without a trace of doubt, it can be stated here that Swiss Alps can be one of the best places to fly drones. However, it is also a truth that not all places within the Alps may be reachable or accessible ‘fly-zones’. Therefore, it is very important in the first place to know about the Alps and the perfect areas where drones can be operated. Among all the many places in Alps where a person may use a drone, Mount Titlis is one of them. This popular skiing resort has recently seen a surge of drone buffs so that the Swiss Alps can be rediscovered for all its beauty. The view of this place from the top can be quite mesmeric due to the sheet of white snow all around. 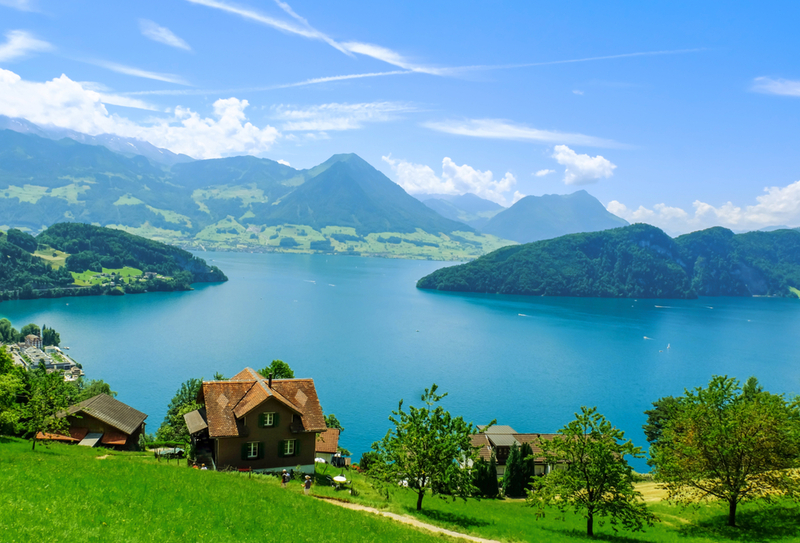 Moreover, the Alps itself has its own charm and beauty that can be pretty attractive for any viewer. The complete topography of the place can be very attractive and beautiful. Mount Titlis offers so much for filming and therefore a lot is being written about it. 1) The Alps can be seen in all its might. 2) Beautifully taken pictures from the top can be expected. 3) People can understand the beauty of a resort. 1) There may not be much diversity apart from the Alps. Wild Atlantic Way,Ireland can be one of the best places to fly drones due to the extensive areas that it offers for an unhindered flying. With its many lakes and beautiful beaches, the country offers a perfect getaway for the drone buff. Moreover, there are mountains, waterfalls and many natural places that can be a visual treat to enjoy. 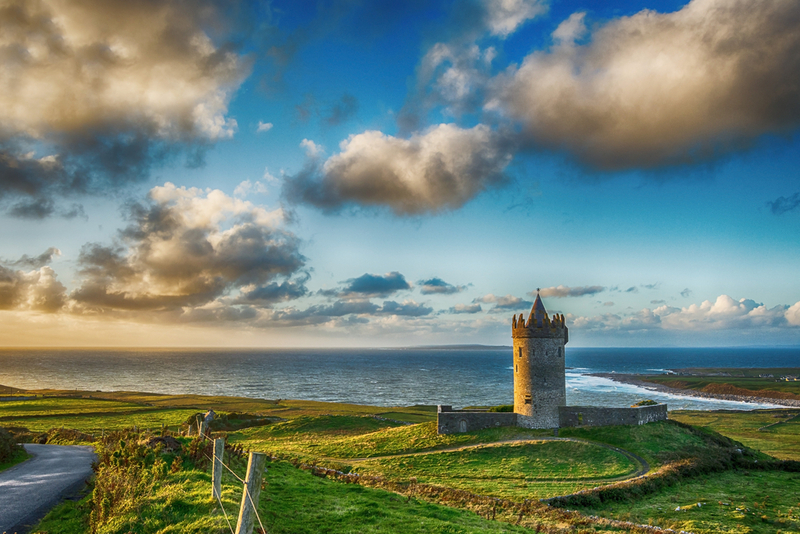 The Wild Atlantic Way also has ruins of castles that can be quite captivating. This west coast of Ireland has many marvels that can make up for a stunning view and can be captured beautifully. Also, there may not be much restrictions over here and a drone pilot can easily give wings to his imagination. Frames from this part of the world can simply be heart-stopping. 1) Many types of photos can be created here. 2) A lot of diversity is available. 3) There may be very less restrictions here. 1) Many places may be uninhabited and hence, travelling may be a problem. 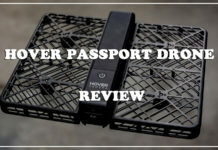 Can I fly drone anywhere I like? No. It depends upon the place where you stay. Each country and region may have its own legislation related to drones. Therefore, it is important to check them out properly before flying a drone. 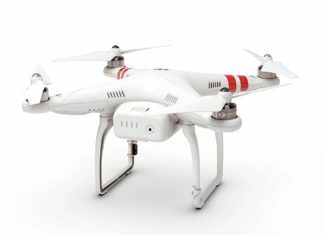 Is there any pre-requisites for flying a drone? No. There is no pre-requisites as such but then having some idea of drone can help in learning it faster. Moreover, a person needs to have some interest in its operation. 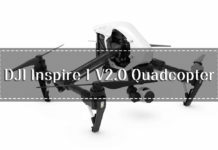 Can I myself diagnose problems of a drone? There are many drones in which diagnosis may not be a problem but then it can depend from brand to brand. Diagnosing some brands can be easier compared to others. 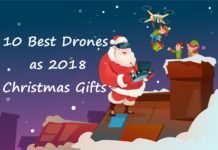 We have seen here some of the best places to fly drones and anyone who has an interest in these UAVs can easily visit these places and get his favorite picture. 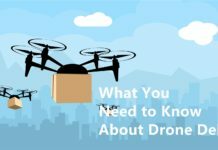 Out of all the locations mentioned here, San Francisco, California, can be the avowed choice of many drone pilots due to the opportunities that can be presented by the city. In addition to being within city limits, a person can get amazing pictures over here. Moreover, if beach photos are needed, that can also be made with aplomb. 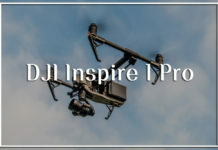 However, there can be other places also apart from the ones mentioned in this list and it always depends upon a user to select the desired drone photography place.